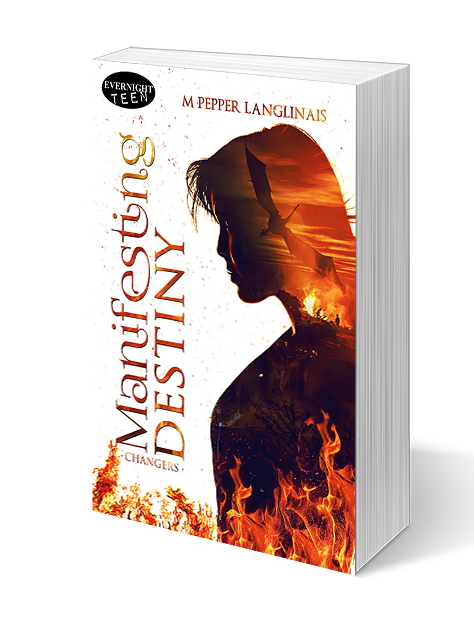 My book Manifesting Destiny is in print!!! You can buy it here. That really pretty much counts for all three. Working again on the sequel to Manifesting Destiny. A nice, informative session of Coffee with the Principal at the kids' school. Making my kids laugh. I love doing that, and today it was especially needed. A day without any errands or appointments. Interesting Radio Lab podcast (Georgetown, TX was even mentioned!). Figuring out how to reserve my hair and makeup appointments for InD'Scribe. I've begun having dreams about this conference now. I'm both excited and stressed out. News that Manifesting Destiny will be out in paperback soon! Also finding that Manifesting Destiny is now available on most e-book platforms. My oldest son blossoming before my eyes into a responsible young adult. A fellow writer friend posting about Manifesting Destiny. Really helpful people in the form of booksellers doing me a huge favor. Hitting 2k followers on Twitter. Though the way followers come and go, I don't know if it will last. I'll enjoy it while I can. Writing again! I'd barely done any over the summer, so it feels so good to stretch those writing muscles! A reviewer agreed to look at Manifesting Destiny. It's been very difficult to land reviewers; they're all so swamped. Kids continue to enjoy school. Sure, it was only the second day, but I feel like setting the tone early goes a long way toward having a good year overall. First day of school! And the kids all loved it. Walking. I really have missed my daily walks. Workout. Time to get back into the routine. Phone chats with my parents. The last day of summer vacation. Thank God for school starting! Clean checkups for my daughter and youngest son. Such support on my author Facebook page! Did not have to go anywhere. No errands or appointments. Made mini sodas with Rob's new soda shop toy. My youngest's birthday. I took him to the store to pick out a cake, and he chose breakfast for dinner. Getting entrenched in an astrological report I was writing for a friend. It took a while, but it's not work when you're enjoying it. I'm also really enjoying Wolf Hall (the novel). Found a copy of it at Half-Price Books. Glad I gave it a go. Back-to-school shopping, which I always find a bit fun, plus it means the kids will finally be going back to school! Getting the kids' classroom assignments, and also running into other moms I haven't seen all summer. Winning wine in the raffle! Really, this school seems intent on giving me wine. Last spring I ended up with more than our cabinet could hold and now there's more! Crowley's last vaccinations (for the year). My blog tour started! Very exciting! You can follow along here and even enter to win a $25 Amazon gift card! Extra legroom on the plane. Sitting next to French people and surprising them with my (very rusty) French. Being made Guest of the Day at the hotel, which got me a great upgrade, free wifi, and access to the Executive Lounge. Lots of great information and advice. Running into Steven James in the elevator and him giving me advice for when I do my first panel in October. Kwame Alexander telling me he loves my hair. Lots of other people telling me they love my hair. People telling me they think my chrome toenails are cool. Views of Central Park at dawn and dusk and during a lightning storm. Dr Pepper in the hotel cafe. Invitations to dinner with fellow writers. Learning there's an Ippuku in Berkeley. Upgrades to the exit row for the flight home. Being sent to TSA Pre-check and not having to take off my shoes. Surreal 4-way stops between shuttle buses and 747s. A morning out with the kids that was just grand.
. . . I'm at a loss for #3. It wasn't a bad day but also wasn't anything special. Though I suppose I should count every day as special just because I'm alive and well. I'm mostly feeling anxious about my new book. I'm desperate for it to do well, and that's coloring my mood at the moment. Gilroy Gardens with the family. Good review for my book.
. . . Gilroy Gardens counts for two? We really did have a great day. Beauty night! Hair and nails at the salon. Feels good to be prettied up. Caught a Meowth? Yeah, I'm seriously reaching for the third good thing. But . . . new book! That counts double, right? Nice visit with the in-laws. My publisher continues to roll out publicity for Changers. An excerpt has been posted on ARe Cafe. More Harry Potter and the Cursed Child. Finally got to watch the Preacher finale, which I thoroughly enjoyed. Caught more Pokemon? I mean, I guess that's good . . .
Chaperoning my youngest son's first field trip. We walked to the local fast food restaurant. The kids made me go first into the big fridge and freezer. But in truth, it was a lot of fun and the kids were well behaved. A little oasis of quiet time. Still managing to make my word count goal! Quiet time in which to reach my daily word count goal. Winning $6.00 on $3.00 worth of scratch tickets. Hey, I was feeling lucky, and I did double my money! Seeing the kids' classrooms at the school's open house. They worked so hard! Flowers from the hubby "just because." Creamy Diablo dressing on my salad. A request from a production company for a synopsis of 20 August! Quick orthodontist visit in which he said all is well. Really yummy chicken fajita dinner. Grocery shopping (good because it means I have lots of yummy choices for lunch this week). A co-writer willing to hit up a pitchfest to get interest for our script. Watching shows with the kids. Getting out of the house, even if only to do grocery shopping. A hummingbird hanging out by my office window. *I'm Creole. In the winter I turn this sort of yellow color, but once we start getting sun again, I turn toasty brown. Another day without errands to run. Reading Encyclopedia Brown with my boys. Kids' haircuts. Not exciting, but good to check something off the to-do list. Going for a walk and seeing a huge snake (about 3.5 feet long). Most people would freak out, but I love that kind of thing. Finding cute, unexpected movies on demand. Eye doc appointment. I actually really enjoy my eye doctor (though the office staff are kind of a disaster). At least my eyes are healthy, no major changes. Warm weather! Getting to wear shorts! Connecting with fellow writers on Facebook. Date night included painting pottery at an art café, dinner at an Afghani restaurant, pastries at a French patisserie, walking around downtown and then going for a drive through wine country while watching the sun set. Also, almost getting locked in a regional park by the ranger. Would've made for a great story, but I'm glad we didn't! Day started with doughnuts, flowers, and handmade cards from the kids. Lunch out at a Chinese restaurant followed by ice cream from my favorite local place (chocolate with marshmallow topping). Ordering a couple treats for myself online (a Sagittarius pendant and new Lenormand deck). Pizza for dinner. Then a workout because have you seen everything I ate today? Of course, the day was punctuated by the fact my oldest son was punchy from being overtired. He actually sleepwalked down to dinner, took a couple bites of pizza and then wandered off. He hasn't sleepwalked in a long, long time, so I'd forgotten what that's like. He woke up later thinking it was time to get up for school when it was still evening. Just super confused and out of it. Sort of funny but also I felt bad for him. He has state testing all this week at school, so it's important that he get enough rest. Speaking of which, I also need some sleep. So off I go . . .
1. Getting lots of writing done. That will have to count for all three, I think. My short story "Aptera" was accepted for publication by Aurora Wolf. Expected to go up on the site June 1. Walking in the rain with my kids. Friends who understand and tell me it's okay to not be okay. Mother's Day tea with my daughter at her school. Socializing with friends I haven't seen in a while. Craft store. Yes, even when it's an errand for the kids, I enjoy going. Sitting outside in the sun and reading. Visits by hummingbirds, butterflies, squirrels. A friend telling me she bought one of my books. Wind Festival. And I actually enjoyed it this year. Fixed toilet and new blinds. Lying out in the sun. You know what I'm most grateful for? That in the big scheme of things, all the important things in my life are good. I'm healthy. My family is healthy. We have food, clothes, and shelter. We are (mostly, usually) happy. This isn't me bragging. This is me putting things into perspective. I fuss when I don't hear from my editor or publisher, I'm sad when my sales aren't as good as I'd like them to be. But in the big, big picture, those are small, small concerns. I am so very fortunate. My goal is to keep that in mind whenever I'm tempted to start complaining or bemoaning. Sorry! I know I've been remiss in posting three good things each day. Thing is, I'm struggling a bit to find those things. My days have been pretty dull, plus I'm mostly waiting on news and information from various sources. This is no excuse, I realize. The point is to find three good things regardless, no matter how small. So here goes. My garden is really beautiful right now. Everything blooming, just a riot of color. Warmer weather is coming. I may be able to break out my shorts soon. Getting back into workouts. I don't always love doing them, but I feel so much better about myself when I do. Being featured in an Author Spotlight. Not having to drive anywhere. My son's dental surgery didn't take very long. More good weather for sitting outside and reading. Weather warm enough for shorts! A great new book to read. Night out with the family. *It's not completely perfect, and we had some very inconsiderate people in the audience, but on the whole entertaining. The kids loved it. Getting started on the Changers sequel. It feels really good to have motivation and a goal again. A day without having to do any laundry. My gorgeous garden in full bloom. That counts for all three, really. Successfully made dinner and everyone ate it without complaint. Good checkup with my orthodontist. New Disney pins for our collection. Meatloaf! It's kind of ridiculous how much I love meatloaf. We've been getting away in Vegas for a few days. Many good things to recount! A beautiful dinner at Picasso, sitting outside by the Bellagio fountain as the sun goes down. Breakfast on the terrace at Mon Ami Gabi. All this and the myriad things in between. A wonderful vacation. *We've always called the cat GiGi (as in G.G., as in "Grey Ghost" because she's grey). But it turns out her name is Alley, as in "Alley Cat." She lives on the street behind ours. She was on our front porch about to head into our garden, which isn't unusual. GiGi/Alley likes to go sleep on our patio furniture. But her owner had spotted her and had come up to the house to try and get the cat back. Just as well because the hummingbird mama who lives in the climbing roses by the porch was ready to take the cat on. She was buzzing all around GiGi's head. Anyway, the owner told me the cat's name is Alley (and she even said, "as in Alley Cat") and where she lived and such. I told her we didn't mind if and when the cat visited. It's all good. Fun way to meet a neighbor. An invitation to present at a writing conference in October. A shipment of Big Red goodies! Including a taste test of the Big Red Float. Time spent reading. It's great when you have a good book to lose yourself in. And none of these are jokes! I'm not really much for the whole April Fool's thing. Practical jokes are one of my least favorite forms of entertainment. Yeah, that's about it. But at least vacation is now only a couple days away. Encouragement from a friend . . . and that friend's mom! Stumbling across The Secret Life of the Cat and watching it with the kids. A dentist appointment that wasn't as bad as I feared it would be. An Easter miracle: Big Red soda found in a local grocery store! Dying eggs with the kids. My son running his third 5K and getting "scouted" by a local cross country team. Weather nice enough for shorts. Sitting outside in the sun, even for just a little while. Getting to see a mama hummingbird feed her baby! All three of my children getting gold medals for reading (and various other awards as well). Danger Mouse and Mister Ed with the kids.